Team owners or we can say that Franchise owners are the real game player in the IPL in the background. They handle everything from management, planning and mainly who will be the playing for their team.Team owners are backed by a huge team which include management team, coaching teams and mentors, who are the international famous cricket stars. Team owners work round the year from finding new talents to mapping them and finally leading successful IPL Auction. First thing that come in mind is who can own an IPL team and what he have to do to own a IPL team. To own a IPL team you don’t have to be famous you just have to invest huge money, when I say that, I mean it. It’s just huge. You have to bid for the team for the 10 year. But this money is to be paid in the window of 10 years. Yes you are thinking right they can earn a lot. But let see how much they have to pay the BBCI and how much they earn and the main thing how they earn their money back. 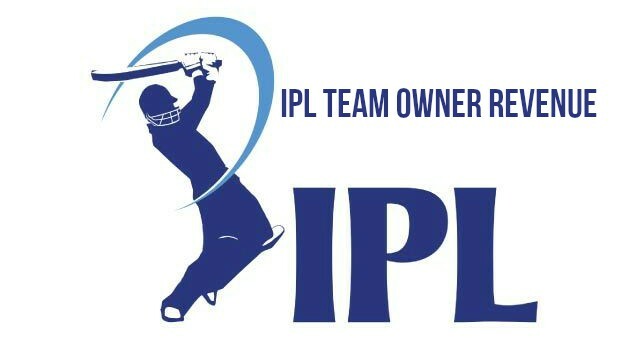 First see how much IPL Team owner have to pay to own an IPL team. Let’s see this with an example or we can say the real example what happened back in 2007 before starting the IPL. In the first auction of teams, remember not the team members, Mukesh Ambani had offered $112 million for 10-year rights to handle the Mumbai Indians team. So this is divided into 10 odd years Mukesh Ambani has to pay Rs 51.5 crores for consecutive 10 years. But when it comes to the teams that comes later, they have to pay more. Let’s take another example of Pune warriors, which was the Sahara owned team. Sahara was ready to pay $370 million for the Pune Warriors and Kochi contributed with a triumphant offer of $333.33 million. The Sahara offer was around 5.5 fold what a blend of Manoj Badale, Suresh Chellaram and Lachlan Murdoch offer for the Jaipur franchise, which is Rajasthan Royals at $67 million. And yes you would be wondering but how much they get back their money. Every team is not successful at getting their money back, some of them the Kochi Tuskers, Pune Warriors, etc. And some of them are master at getting the money, Mumbai Indians and Royal Challenger Bangalore, that what you got in your mind. And you are absolutely right. Under the revenue model, the BCCI gets the chance to keep 20 % of the central income in the initial three years while the 80 for each penny of the incomes is divided among the Franchise. Under the standards, the BCCI's share will ascend to 30 % in seasons 4th and 5th, and further to 40 for each penny from seasons 6 to 10. Teams that make it to the semi-finals will get more pockets filled i.e. ; somewhat more money. Other than the wining amount of the team. Remember here we are only talking about the revenue. And their revenue does not stop here; this was the way they get their revenue share from the BCCI. And they get lot more individually. They add up to their revenue through Sponsors; you see many advertisements the teams are doing, they are the part of the sponsors. They just help their sponsors to build their brand. There can be various types of sponsors, title sponsor, clothing sponsors and many more. The main revenue source is the media rights; TV and digital rights that add up to 60% of the total team revenue. And some small revenue sharers are the stadium tickets, winning amount and merchandise of the team which include bats, T-shirts and many more.